The Bishop Cotton Women’s Christian Law College is recognized by the Government of Karnataka, affiliated to Bangalore University till 2008-09 and from 2009-10 affiliated to Karnataka State Law University and approved by the Bar Council of India. 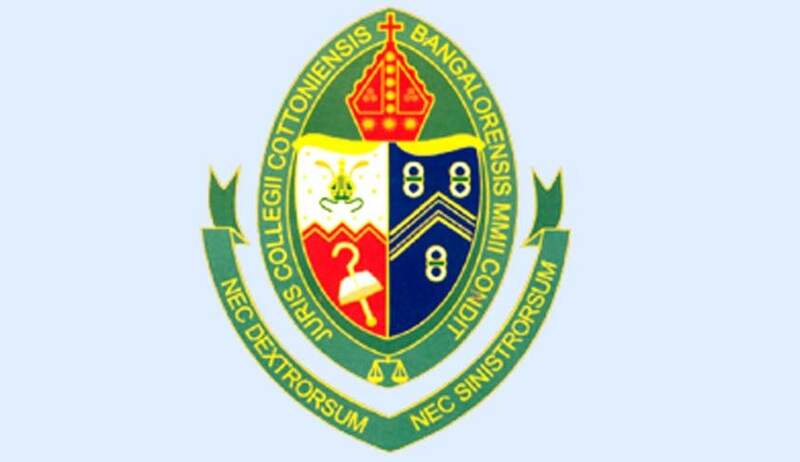 The College is managed by the Board of Management of Karnataka Central Diocese of Church of South India. Eligibility: PUC, 12th standard with 45% (for SC/ST 40% marks). Note: Students between the age of 17 and 22 are admitted into the 5 year BB.A.LL.B Course. Candidates with 80% marks or more in the qualifying examination will be admitted on the spot. For others the admission is made on the basis of the candidate’s performance in the oral interview where in the candidate’s vocabulary, communication skills, smartness, shrewdness and presence of mind are assessed. 3 Self-addressed envelopes with Rs 10/- Stamp. FEES PAID ON ADMISSION WILL ON NO ACCOUNT BE REFUNDED. The yearly intake is around 60 candidates. Candidates would be selected based on a personal interview. The last date for application for admission would be the last week of June, 2017.